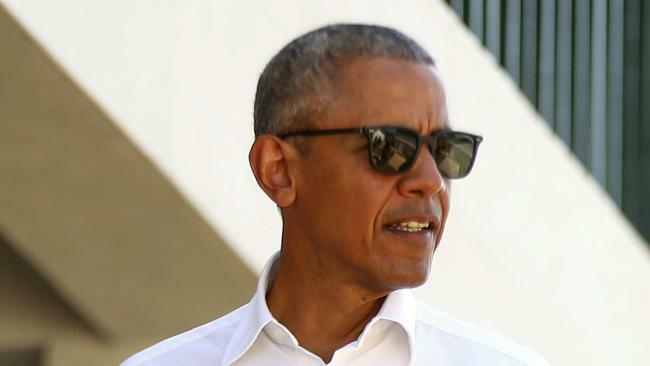 Former US president Barack Obama has celebrated his 57th birthday. For the first time, Mr Obama's birthday is being celebrated as a commemorative holiday in his former home state of Illinois. Last year, the Illinois legislature passed a bill declaring August 4 be known as Barack Obama Day, to celebrate "the 44th President of the United States of America who began his career serving the People of Illinois in both the Illinois State Senate and the United States Senate, and dedicated his life to protecting the rights of Americans and building bridges across communities." This is the first year the law has been in effect. Comedian Ellen DeGeneres tweeted: "You busy? We could use some help." The White House press secretary, Josh Earnest, said the incident was representative of the pair's friendship.